The Big Skinny Expedition Crossbody Bag. Great for traveling! 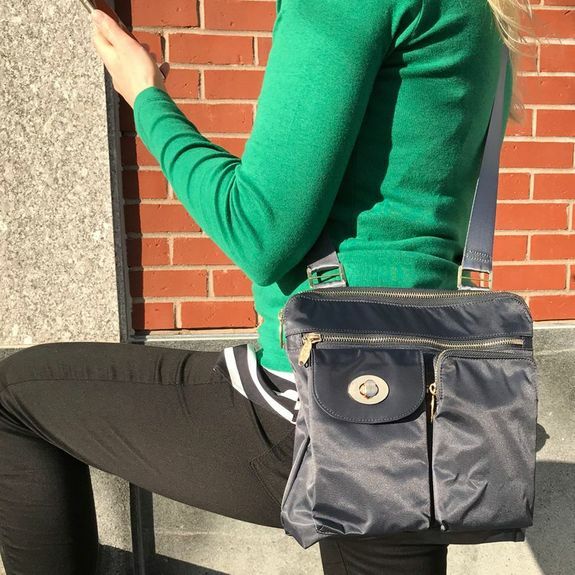 The Expedition Crossbody bag can hold US Passports, smaller purses and checkbooks, your stack of foreign currency, cell phone, mini-camera, keys, lip gloss, hair elastics, and all the change that is fit to carry. 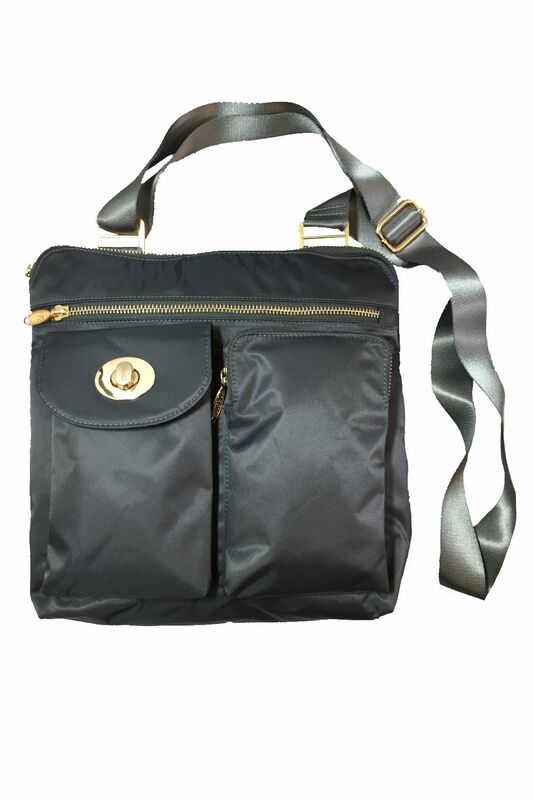 Very scalable cross-body bag that flexes to accommodate whatever you pack yet manages to stay sleek due to its super-thin nylon-microfiber nature. And light enough that even filled, it is easy to trek through the mountains of Europe and sail through the oceans of the South Pacific, knowing all your stuff is close at at hand. The top full zip also deters potential pickpockets. Merchant Response:Hi Clara, Thank you for your feedback! 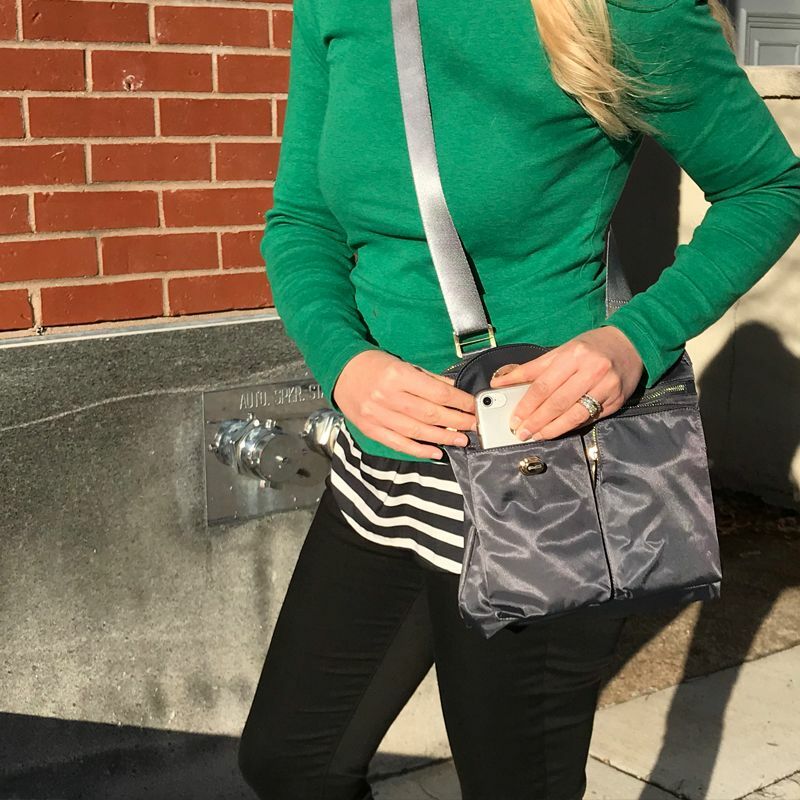 We love every product we�€™ve purchased including the smaller crossbody wallet/wristlet. Will be purchasing this as soon as you get more colors! First said I love handbags. This item is the best I have found. It is well organized to carry all anyone should need, light weight and carried easily at your side. It makes it easy to reach your phone and sunglasses. 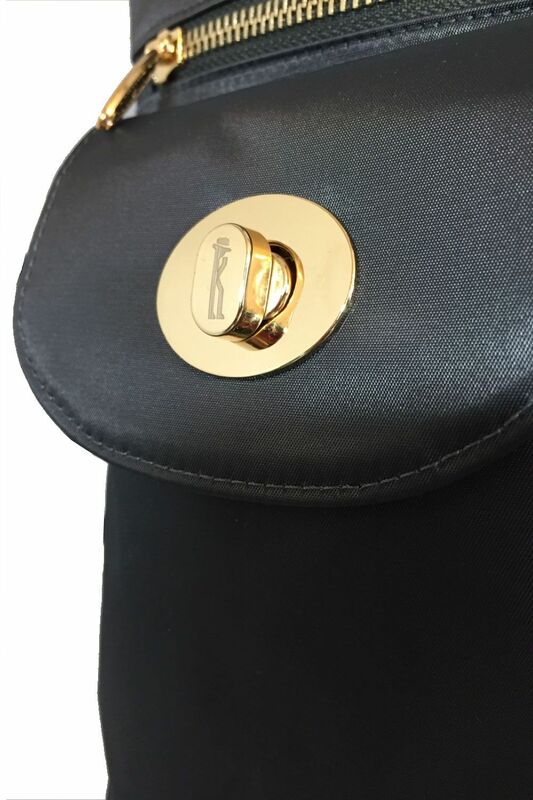 I find the skinny wallet I like fits nicely and I have used this bag daily since I received it and it works for everything, It cleans up very well with little effort. I look forward to a future purchase of this same bag when new colors are available. I believe everyone will find this to be true when you purchase this well crafted light weight handbag. ProsLight weight, well made, smart organization of pockets allowing good security for your possessions. ConsHave not found any problems. Love this bag but, only giving four stars cause the strap needs work. Maybe a bit thinner and placed differently they rub into my neck. Looks like a good product, but that grey strap just doesn't match with the gold hardware and black material. Can you do a more subdued design with a black strap, and silver hardware please. Merchant Response:Hi Beth, Yep! We specifically designed the front pockets to fit the iPhone Plus s :) We hope to get more colors soon! Thank you for your feedback! I bought this bag at a kiosk in Boston. I had been looking for a lightweight large bag that was not bulky. I travel a lot and this bag is wonderful. I can put my ipad, wallet, keys, cell phone, and passport easily into this bag. It has lots of pockets to separate various items so you don't have to go searching in the main compartment for small items. My only wish is that it would come in more colors.